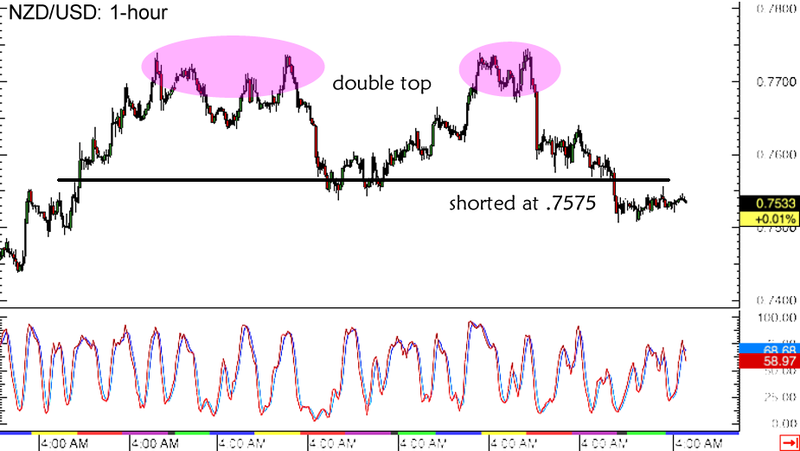 So far so good on my NZD/USD short forex trade! The pair broke below the support levels I was looking at and I’m planning to keep this position open for a bit longer. What do you think? Aside from the 4-hour rising wedge breakdown I mentioned in my initial trade idea, I’m also seeing a double top formation on the 1-hour forex time frame. Price already broke below the neckline support, indicating that a downtrend is about to take place. The pair is consolidating just above .7500 for now, waiting for more market catalysts. As I’ve shown y’all in my Comdoll Trading Kit for this week, New Zealand is set to print its quarterly jobs data and have its dairy auction tomorrow. Another set of weak figures could remind forex traders that the RBNZ is ready to cut interest rates if necessary and spur another wave of losses for NZD/USD. Of course I’ll also be watching out for the U.S. non-farm payrolls report on Friday, as this could set the tone for long-term dollar price action. Recall that the Fed reassured market watchers that the recent slowdown in the U.S. economy is just temporary, and the upcoming jobs release could confirm if this is really the case or not. I’ll be ready to exit my trade early if the actual numbers fall short of expectations again. Any other trade adjustments you think I should be making? As always, I’d love to get your feedback on my forex ideas!